A few weeks ago I published an article in the Jerusalem Post in support of the Kurds and their quest for independence. You can read that article here. And it remains the case that if you are generally supportive of states with democratic processes and cultures oriented toward mutually tolerant relationships, then you’re in support of the Kurds. Moreover, the Kurds have been good friends to Israel. 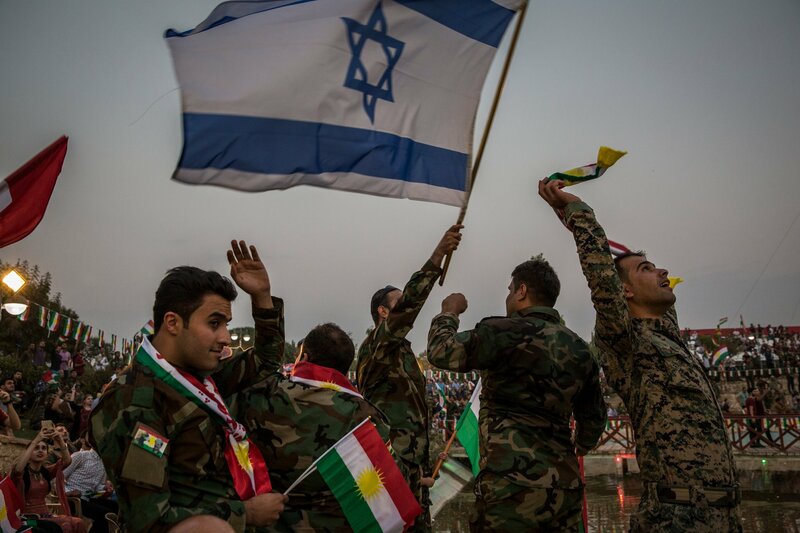 Last week Prime Minister Netanyahu stated publicly his support for Kurdish independence and the referendum. The Kurds welcome Israel’s support but have remained quiet for fear of antagonizing the Arab world. In Saturday’s edition of the New York Times there is a story on the relationship between the Kurds and Israel. It is a clear and well stated article explaining the relationship between the Jews and the Kurds, a relationship about which many people don’t understand or are unaware of. The Kurds and the Jews of Israel in particular share a history of oppression and both groups are minorities in an unwelcoming neighborhood. There are about 200,000 Kurdish Jews and a strong Kurdish presence in Israel. Most notably was the assistance from Kurds in helping Jews escape Baghdad in 1969 after a mass hanging of Jews. Netanyahu’s support for the Kurds and the independence resolution was a gutsy move made in isolation, because most powers in the region including the United Nations and the United States either directly oppose or have reservations about the referendum. The Iraqis oppose it because they don’t want their nation to be broken up; the Americans oppose it for fear that it will interfere with the defeat of the Islamic State and complicate their mission in that area of the world; Iran and Turkey oppose the referendum for fear of stimulating separatist thinking and even potential violence. But Israel is publicly supportive of the Kurds because Israel needs friends. The Kurds are potentially very useful friends and would be a valuable resource in the region. And to the joy of just about everybody, the Kurds don’t care about the Palestinians. They assume it is Israel’s problem and are willing to be helpful if possible but otherwise just stand aside. On September 25th Kurds will hold a referendum that will not be legally binding but is a vote on whether or not the Kurds should be an independent political entity. The referendum is a payoff for the consolidation of external military successes and help with the fight against the Islamic State. The Kurdish efforts to defeat ISIS have won the Kurdish leadership considerable praise and resources. But a cynical interpretation is that the Kurds are at the peak of their popularity and the time to declare independence is now. There have also been numerous reactions to the idea of a referendum. Some see it as a genuine deserving reward for the Kurds, others see it as a move by the old guard to cling to power. In the end, a strong independent Kurdish state will certainly require help from the United States but also Kurdish attention to their own institutions and political trajectory. The Kurds have much work to do with respect to economic development and ensuring that institutions are a platform for democratic processes. There must also be a shared sense of Kurdish nationhood that unites the young and the old, the different localities, and final discussions about borders. The referendum is generally a good idea and while it will interfere with the political maneuvers of some states the Kurds have to think about their own political future more than that of others. A few weeks ago I wrote about the Kurds and their quest for independence and the establishment of a Kurdish state. That piece was published in the Jerusalem Post and you can access it here. On September 25, 2017 the Kurdistan regional government (KRG) will vote on a referendum on independence. Support for the referendum – and nobody expects it to fail – fulfills a Kurdish dream. The proposed Kurdish state would be in the Iraqi Kurdish region which has begun to establish some state institutions and has enough resources to sustain the new state. But the interesting question is how the Kurds proceed after the referendum vote. The Iraqis are assuming that support for the referendum would simply open up conversations and negotiations concerning outside issues. In fact, the referendum will not change much on the ground but will send a message to the Iraqis and the rest of the world that Kurdish independence should be respected. The referendum is actually a rhetorical device that expresses Kurdish recognition and their commitment to a democratic process that indicates serious intent. The Kurds have been slow to develop their own cultural and political institutions (not entirely their fault) and in the past have been more interested in concessions from Baghdad such as the Federalist structure that now governs the relationship between the Kurds and the Iraqis. There remains opposition to Kurdish independence, even on the part of the United States, when the broader array of complex international relations is taken into account. Most notably, the United States always has to consider its relationship with Turkey. The Turks have had a contentious relationship with the Kurds for a long time and view some Kurdish political groups as a threat to the stability of Turkey. One goal for Kurdish leaders is to convince Turkey that they are no threat. Moreover, the US while supportive of the Kurds in many ways still uses them to manage the US relationship with Iraq. So the US has told the Kurds that they can do nothing toward independence or changing their status that threatens a stable relationship with Iraq. In an interview with Bilal Wahab, a Fellow at the Washington Institute, he makes the case that the Kurds remain unready for independence and there are still many questions for the multi-ethnic state to answer. There are religious minorities (Yazidis, Zoroastrians) and ethnic minorities (Arabs, Turkmen) all of which must be integrated into some semblance of a democratic society. Is it going to be a true liberal democracy where all groups are equal in the eyes of the law, or is one group, namely Kurds, going to be privileged. Moreover, what about the question of those Kurds in other countries such as Turkey and Syria? Will they be welcome? Comments Off on The Coming Kurdish Referendum. The Kurds have been friends of United States and are deserving of our help to develop their own sovereign nation. The Kurds are spread out over Turkey, Iran, and Iraq and since World War I have been deprived of their own territorial boundaries. They have been a force multiplier in the fight against ISIS and quite helpful to the United States over the years. The Kurds are fully deserving and justifiably waiting for help from the United States. In September the Kurds are scheduled to hold a referendum on independence. They are receiving pressure from Iraq and Turkey not to hold such a referendum. Kurdish moves toward independence have generally met with resistance especially from Turkey. This makes for a complex political situation because the United States has its own considerations with respect to Turkey. The Kurds for decades have been fighting for rights and recognition even though they are the indigenous people of the area. After World War I when the Ottomans were defeated there were plans to establish a Kurdish state. But these plans were dashed when treaties ignored the Kurds, and they consequently settled in areas as minorities and were never organized into a political unit but still maintained their cultural particularity. In 1978, Abdullah Ocalan established the PKK, which called for an independent state within Turkey. Six years later, the group began an armed struggle. Since then, more than 40,000 people have been killed and hundreds of thousands displaced. Look here for a statement about the current political situation. In particular, this statement explains the betrayal of the Kurds. 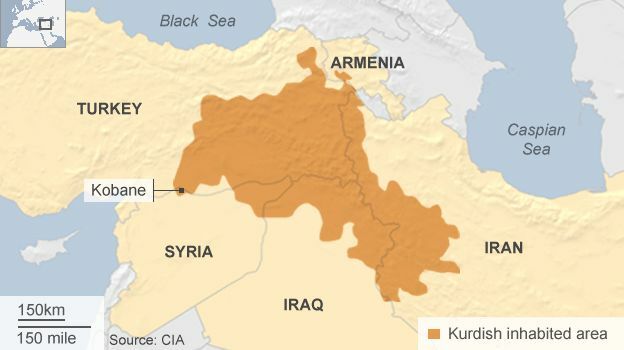 The US no-fly zone established in 1991 has allowed the Kurds to govern themselves in northern Iraq. They have their own parliament, currency, and postage stamps. The Kurdish Federal region was established after the US eliminated Saddam Hussein. The Kurds are a vital cultural force who are proud, dignified, and democratically inclined. They were forgotten and ignored after World War I. For the longest time the US opposed an independent Kurdistan. That’s before the Kurds have become a friend to United States and so central to the fight against the Islamic state. Turkey has always wanted to assimilate the Kurds and deny their history and culture. They long feared that any gains by the Kurds will be a loss for Turkey. Turkey’s fears are now moot, because the Kurds of Turkey have no need for external encouragement. It is time for the international community to catch up with the Kurds and work with them to establish their own political institutions.